Another weekend split saw Quinnipiac have a shutout win over RPI on Friday night followed up by another poor performance in a 5-1 loss to Union its 5th straight loss to the Dutchmen. Despite the split on the weekend, Quinnipiac dropped only one spot in the USCHO.com poll to 14th. They now head to Cornell next week for a rematch against the team that swept them out of the ECAC Quarterfinals a year ago. But before we get into next week let's take a look at how some of the future Bobcats did over the past week. 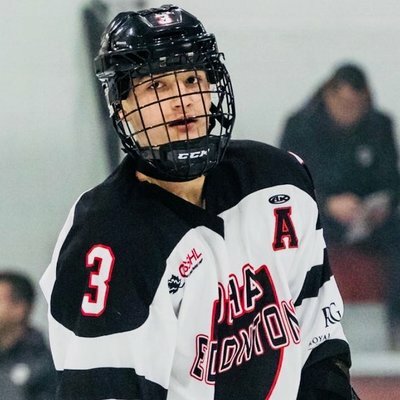 Quinnipiac picked up two more commits in the BCHL this time in a pair of Quebec born players in Christophe Fillion and Christophe Tellier of the Wenatchee Wild. Fillion in 23 games played has 19 points (11 goals, 8 assists) while Tellier in 21 games played has 18 points (7 goals, 11 assists). They are both committed for the 2020-2021 season. Stay tuned for a Q&A with the both of them coming up later this week or early next week with a lot of good stuff they had to say. 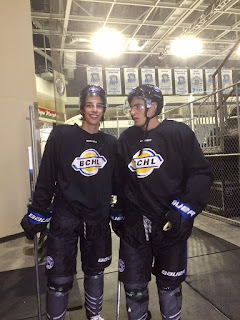 Jayden Lee picked up two more assists this past week for the Powell River Kings. He has 7 assists in his last four games played. On the season, Lee has 13 points (1 goal, 12 assists) in 21 games played. 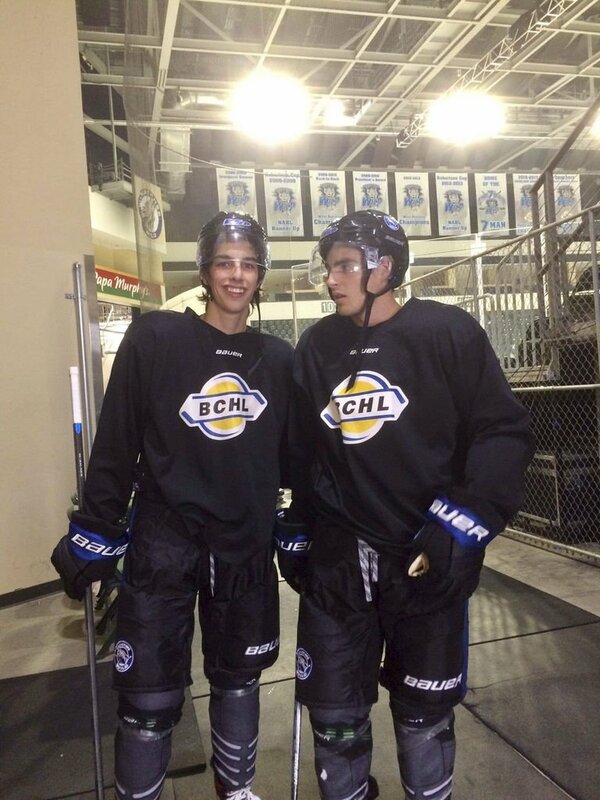 PJ Fletcher picked up three assists in two games played for the Wenatchee Wild and has started to settle in the BCHL. In 23 games played he has 8 points (1 goal, 7 assists). Austin Spiridakis picked up his third goal of the season for the Alberni Valley Bulldogs. The 16 year old has 5 points (3 goals, 2 assists) in 21 games played and is tied for 9th on the team in scoring despite being the youngest player on the team. Logan Britt picked up one assist this past week for the Lincoln Stars. In 13 games played, Britt had 7 points (2 goals, 5 assists). Evan Fear lost a hard fought 3-2 overtime game on Saturday against the Waterloo Black Hawks. Fear made 48 saves in a losing effort for Green Bay. On the season he is 5-3-2-0 with a 2.87 goals against average and a .917 save percentage with one shutout. Stay tuned for a Q&A with Evan Fear coming out this week. Justin Robbins had his best start of the season for the Chicago Steel when he made 28 saves in a 3-1 win over the Madison Capitols. Robbins is 5-5-1-0 with a 3.83 goals against average and an .870 save percentage. Yaniv Perets took a hard fought 1-0 loss for the Junior Bruins in between the pipes on Saturday. He made 24 saves in the loss. In 16 games played he is 13-2-0-1 with a 1.78 goals against average and a .948 save percentage. John Campomenosi picked up his first career junior hockey goal for the Jersey Hitmen. In 21 games played he has 6 points this season on a goal and five assists. Connor Tait picked up a goal and an assist in two games played for the Jersey Hitmen. In 16 games played this season he has 7 points (3 goals, 4 assists). Oscar Plandowski picked four more points in five games this past week. He now has 38 points (7 goals, 31 assists) in 30 games from the blue line. Jack Silich had two goals and one assist in three games played for the Chicago Mission U-15 team over the weekend. On the season he has 57 points (24 goals, 33 assists) in 38 games played. Victor Czerneckianair had a six point weekend in four games for the Selects U-16 team at the South Kent School with two goals and four assists. In 31 games played he has 45 points (21 goals, 24 assists). Liam McLinskey picked up another goal and an assist for the Jersey Hitmen U-18 team. The Pearl River, NY native is now riding a five game point and on the season has 18 points (9 goals, 9 assists) in 16 games played.